All of Campbeltown's parking facilities are located in a single car park. Whether leaving your car for a long or short period of time, you'll be within short walking distance of the terminal entrance. Disabled drivers are also catered for. the short-term car park is directly across from the terminal in an uncovered lot. The first few minutes are free to allow quick pick-ups and drop-offs. Otherwise, the charge is levied in hourly increments. those parking for a day or more can proceed to the same car park. Spaces are not specifically designated for long- or short-term parking, but the rate adjusts from hourly to daily after the first day. 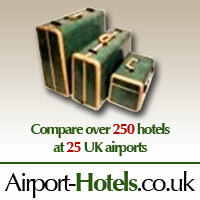 Call the airport information desk for more information (tel: +44 1586 552571). while there are no dedicated valet services available at this small airport, passengers are permitted to unload their luggage at the curb and say a quick farewell. Cars must be idling and attended the entire time. passengers who have special needs will find dedicated parking spots available to those with a disabled badge displayed in their windscreen. These spaces are wider and accessible by ramps. The airport can also provide wheelchairs for disabled passengers. Be sure to make any specific needs or concerns known at the time of booking. 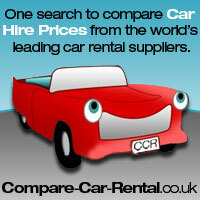 since Campteltown Airport sees so little throughput, there are no car hire firms represented in the terminal. There are, however, plenty of companies operating in the town centre. Inquire with the airport information desk (tel: +44 1586 552571) to find out which services are available for your visit.